[Blind Gossip] This pair of famous actors are divorced. They are trying to keep things civil because they have a child/ren together. It’s supposed to be joint custody, but [the child/ren is] uncomfortable spending time with [Dad]. Not sure if it’s a sobriety issue or if it’s because [Mom] rarely has nice things to say about [Dad]. Anyway, if [the child/ren] says, “I don’t want to see Dad this week,” they don’t have to. He is working a lot and puts aside time each week just for the child/ren, so it’s distressing for him when the child/ren balks and stays away. Although they are not bad-mouthing each other in public, the ex-couple is finding it hard to be friends. [Optional] Do you think this avoidance is coming from the child/ren or Mom? The avoidance is from Mom. Eventually, the kids will see with their own eyes who each parent really is, and they will decide who each parent really is, regardless of what the other parent has said about them. Cosign. I once read that kids see themselves as half one parent and half the other. When you speak ill of your ex, you do a lot more damage to your child than their other parent. And yes, time passes and the kids always figure out who their parents really are. Yes i agree with this guess,..
Brangalina is a to easy guess for this one,…. I agree. I think there’s a hint in the little girl having pig tails because Violet always seems to wear them. I think it’s a little of both, if I was Jennifer I would worry about what the man child would do/drink. It can’t be fun for a little girl to take care of Dad (think David Hasselhoff and his kids). I agree. I don’t believe Jennifer Garner nice and only cares about her children’s well being because she’s in the tabloids nearly every day. If she cared, she’d protect their children from public scrutiny. Sobriety issue” = jab at Ben Affleck. Brad and Angelina? If she wants him back so bad she isn’t encouraging him with her * and psycho behavior. Ben A and Jennifer G? Could be multiple Hollywood families. Op- tough to say but I’m sure mom prefers them to stay away from dad. I think any time a parent bad mouths the other parent it will affect how the young children feel about that parent. So yes, I think this is Angelina causing the issue. After their bitter divorce, my mom bad-mouthed my dad for years which made me defend him all the more. Since he didn’t say anything negative about her it made me resentful of her. It wasn’t until adulthood I recognized how amazing she is, they’re both just human and even though he cheated and she had every right to be resentful, you complain to your friends/therapist about your ex, not your children. 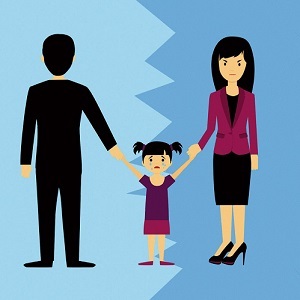 Lesson learned before my own imminent divorce – speaking bad about your ex only hurts your kids. Couple: Bradd Pitt and Angel(??? )ina Jolie. Optional: Probably from Angelina, since the FBI and DFS found no abuse from Brad but she kept squawking about the issue for many months. (I think he cheated on her, maybe with Aniston or else Cotillard, and THAT’S where her rabid fury came from.) And it’s sad because once the kids are grown, they’re grown. No going back for redo’s. That’s exactly what I always thought, too. I think Aniston has more class than being get ex husband’s side piece. If he cheated, it wasn’t with her. Ben Affleck & exwife. Probably the kids realized finally that he doesn’t really enjoy kid time. [Optional] Hard to say. I often didn’t want to visit Dad on his weekends because it was a pain, and I didn’t feel at home at his place. Also, I think I just didn’t like leaving Mom all alone when everyone else was at Dad’s. Hard to say what goes through a kid’s mind in those sorts of situations…. Angelina is never going to be friends with Brad. She is pissed!!! It is sad because kids should have a relationship with both parents – unless there is abuse going on and I don’t think that is the case. In the past, he had a drinking problem and he smoked pot (I don’t think he does hard drugs) but you can tell he sobered up after they separated. Hopefully his relationship with his kids can be repaired – he seems like a cool guy. She is a good mother, but vindictive – not good. Angie and Brad, me thinks! I don’t what to think besides that they’re both narcissists. Angelina has, by all accounts, been bad-mouthing Brad since they split. A judge even had to get involved to make sure the kids had free access to him. Her bitterness and vindictive behaviour has poisoned at least some of the impressionable children against him. Those poor kids are going to end up as neurotic as Angie herself. Angelina J and Brad Pitt. [Optional] Do you think this avoidance is coming from the child/ren or Mom? Angelina the whole way. She couldn’t control Brad, so she does it through the kids. Mark my words, they’re going to grow up, then look out! A tell all book will happen and it will astound everyone just how awful she was. I think it’s Angie’s influence that attributes a lot, it’s a shame for the kids. It puts them in a tough unfair position of walking a tight line of neutrality that they shouldn’t even be worried about. She should want all the kids to have a relationship with their father, and especially if the father is trying. Angelina, the wife from hell. Poor Brad…. Brad & Angie? If it’s them, it’s coming from her. She’s toxic and engaging in Parental Alienation, imo, just like her mom did to Jon Voight. Except for the oldest boy (who seems to have an oddly close relationship with Angie), I believe that the avoidance is all coming from Angelina. I don’t think Jennifer Garner would ever say a bad thing about Ben Affleck to their kids. But Angie would. Jen and Ben. However, I do not think you have to be friends with your ex. Such Hollywood BS. You can be cordial with your ex for the sake of your kids, but, “friends?” Such PR crap lol . Well Number 1 guess is the Cruise/Holmes connection. Before I even knew about BG I always said that Katie Holmes had that look of get me outta here please. 2nd would be Jolie /Pitt connection . Hard to say the dynamics seems to be complex. I don’t question Brad has substance abuse issues. On the other hand Angie has also been linked to similar abuse, even more extreme. Also temperament issues, I don’t believe the Sony leaks reveal came out of nowhere. Optional: I think its the result of Jen making up truth to cover for Ben and keeping the kids away from social media, until Violet got to high school and got into the web. Jennifer Garner and Ben Afflict?! ?